I've made a resolution this year to brush off the cobwebs and socialise more often. I have a problem though - a distinct lack of LBDs. Obviously these days it's not difficult for us to find ladies clothes online thanks to the wonders of the Internet and the rise of the Smart Phone! Picture boards are a pretty good way of putting a few ideas together and mulling over them for a while and here are a few picks from fashion and home wares boutique kaleidoscope.co.uk. While strictly speaking LBD is an acronym for 'Little Black Dress', I feel that an equally important wardrobe staple is the other LBD - the long black dress. 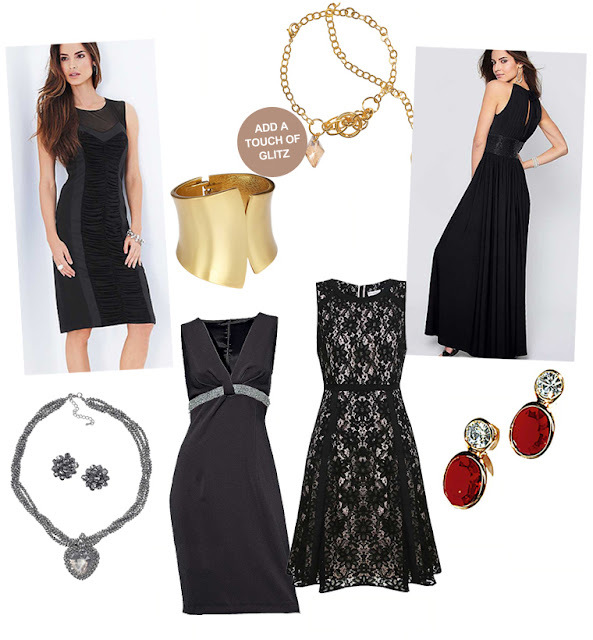 For me, the long black dress is a spring staple that can be dressed up with a flashy belt or statement costume jewellery, or paired down with simple sandals and minimal jewellery. The 'mid- length' LBDs picture are a good pick for me because they're a little bit retro, rather modest in length (no accidental crotch flashing here) and a bit off the wall with mesh, panel and lace detailing.